Because he believed with his whole soul that fiction should be the representation, and in no measure the misrepresentation, of life, he will live as long as any history of literature survives. He depicts Zola as a realist rebelling against the romantic approach to literature. Howells says this refutes the concept that Zola’s writings were somehow immoral. Howells points out that moralist concerns himself with justice and with truth. Zola was an artist, and one of the very greatest, but even before and beyond that he was intensely a moralist, as only the moralists of our true and noble time have been. Not Tolstoy, not Ibsen himself, has more profoundly and indignantly felt the injustice of civilization, or more insistently shown the falsity of its fundamental pretensions. He did not make his books a polemic for one cause or another; he was far too wise and sane for that; but when he began to write them they became alive with his sense of what was wrong and false and bad. As a novelist himself, Howells knows that a writer never simply reports. Even the most “scientific” or fact-bound journalist must select what facts to report. What Zola did was less to import science and its methods into the region of fiction, than journalism and its methods; but in this he had his will only so far as his nature of artist would allow. He was no more a journalist than he was a scientist by nature; and, in spite of his intentions and in spite of his methods, he was essentially imaginative and involuntarily creative. He wished to be a sort of historiographer writing the annals of a family, and painting a period; but he was a poet, doing far more than this, and contributing to creative literature as great works of fiction as have been written in the epic form. If you are unfamiliar with William Dean Howells, I recommend The Rise of Silas Lapham. It has social realism and humor and a very interesting young heroine. This commentary is also posted at Silver Threads. 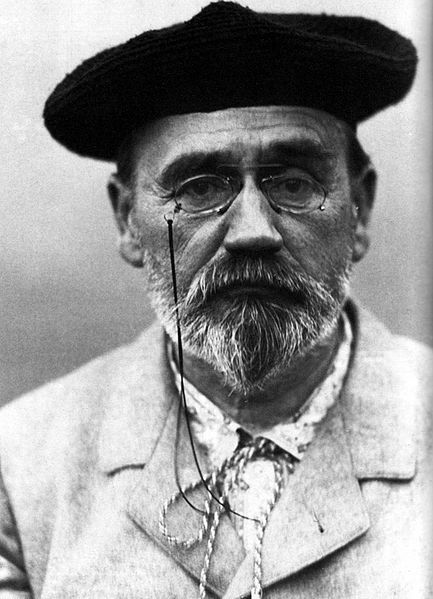 This entry was posted in Émile Zola, Nancy (Silver Season).